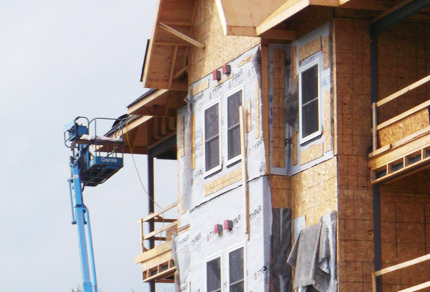 AON Builders - Peterborough Based Development and Real Estate Holding Company. Founded in 1983, AON Builders has established a reputation for excellence in design and execution. 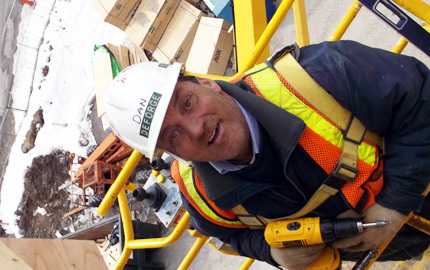 We are a full service construction company that can meet all of our clients' varied needs. Our expertise ranges from new commercial and residential construction to unique renovations of existing spaces to meet customer needs. We consistently deliver projects on schedule and on budget, with the quality that you have come to expect from AON. The ability to understand a project’s vision, coordinate subcontractors, material suppliers and equipment installation, along with scheduling, budgeting and quality control have been the keys to our success. We believe in a commitment to excellence in every detail and we have built our reputation on these standards. 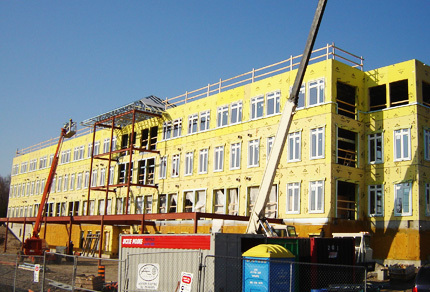 Projects of note in the Peterborough area have included the construction of the Parking Garage on King Street, the conversion of the historic former Post Office Building on Charlotte Street into residential apartments, and Summit Village and River Park Village Condominiums to name but a few. We have also constructed and renovated one of the finest retirement communities in Central Ontario – “The Gardens of Peterborough”, including features such as dramatic 3 storey atriums, comfortable, bright, and spacious living spaces, and unique amenities such as a salt water pool. AON Builders has constructed two Class A long-term care homes to the highest of standards, and the innovative “Summit Terrace” luxury seniors’ apartments. As a local, family owned company, we understand that our best and most reliable resources are our local business partners. We support trades and suppliers whenever possible and have built relationships with local partners that have lasted decades. Since the inception of AON Builders we have operated with the core principle that we are creating more than just buildings—we are creating long term relationships in our community and with our clients. Summit Terrace Now Open - Click for more info.